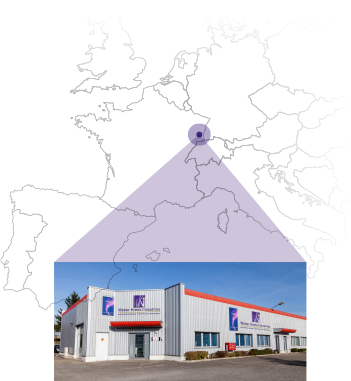 Since its creation in 1997, WEBER KRESS INDUSTRIES is located in Sausheim, in eastern France. The company employs some 25 qualified people. For more than 20 years, we offer services including all or part of electrical engineering, industrial electricity, automation, industrial computing and instrumentation. Its years of experience, the skills of its employees, the ties of confidence with its customers make WEBER KRESS INDUSTRIES a well-recognized company in industrial electricity in eastern France. The RESPONSIVENESS of our teams. Our scope of supply may include any services from the engineering to the maintenance as well as technical advices, installation and optimization of electrical equipment. WEBER KRESS INDUSTRIES maintains close ties with its customers. We make advices and recommendations about potential solutions at the first stages of your project for your entire satisfaction. We adapt and customize our expertise according to your specifications and markets, even the most demanding ones. Our team of multi-lingual skilled technicians will assist you in your projects in France and around the world. As its name suggests, WEBER KRESS INDUSTRIES is an industrialist at the service of industrial firms. The 20 years of close collaboration with leading equipment manufacturers make us well aware of their expectations. That is why WEBER KRESS INDUSTRIES shall be given the means required to carry out electrical cabinets and on-site operations. Our entire company is managed by an Enterprise Resource Planning system for insuring a detailed monitoring of your electrical cabinets in progress and the existing ones.